Drug addiction is a pervasive fear among patients who are living with chronic pain and who depend on medications to keep them comfortable and productive. As a trusted Los Angeles spine surgery center, we thought it would be beneficial to share information about current research that is exploring new types of drugs that offer significant relief without the harmful side effect of dependency. 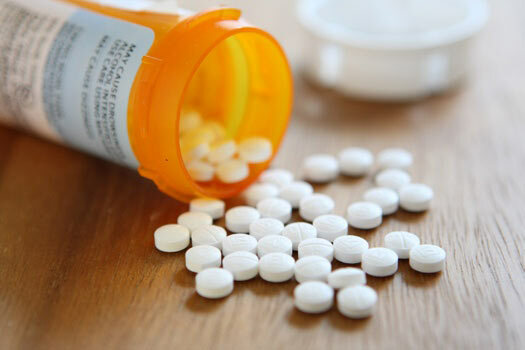 Opiate painkillers such as oxycodone, hydrocodone, and hydromorphone are notorious for causing addiction in patients. They work by binding to a type of opioid receptor in the nervous system that not only blocks pain but also result in an addictive sense of euphoria. The new medications are designed to target different opioid receptors in the brain that provide pain relief without the addictive side effects. Pfizer pharmaceutical company and Biogen Idec are looking into formulas that bypass opioid receptors altogether. Scientists conducted a study of 40 people who regularly used recreational drugs to test the addictive quality of a trial medication developed by Cara Therapeutics. The results showed that the trial drug, named CR845, produced less euphoric feelings when measured against a commonly used opioid painkiller. The subjects in the trial group reported slight euphoric sensations from the drug when compared with the effects of a placebo. There are many, far-reaching benefits to replacing traditional medications with new, powerful pain relievers. Opiates lose their effectiveness over time when used regularly by patients, and the dosages must be increased occasionally in order to provide satisfactory relief. The new pharmaceuticals may eliminate the problem of drug tolerance. The last several years have seen a rapid rise in prescription drug abuse and a subsequent increase in related crimes. Pharmacy robberies, thefts from individuals’ medicine cabinets and the misuse of narcotic prescription pads are all common occurrences which may be thwarted if opiates are phased out of use. Interested in learning more about managing or treating back pain? Reach out to The Spine Institute Center for Spinal Restoration at 310-828-7757 and schedule an in-person consultation with a board-certified spine surgeon in Los Angeles.